One of the biggest planetary shifts of 2016 is about to take place in Jyotish or Vedic astrology. Jupiter is moving out of sidereal Leo after a one year stay and entering Virgo. 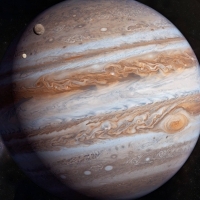 Jupiter’s move will have a significant impact on people’s perceptions and the ability to judge correctly. 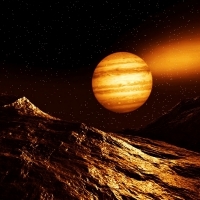 Jupiter is the great benefic and can shine a bright light on your endeavors. Jupiter in Virgo also brings the opportunity for greater balance in our daily routines and schedules. Jupiter in Virgo marks an end to the conjunction of Jupiter and Rahu, or the Guru Chandal Yoga, which has been creating havoc for the last six months. 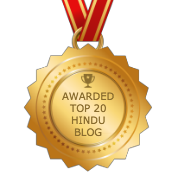 The Guru Chandal Yoga facilitated false leaders coming into prominence. It also created more separateness and divisiveness between communities (i.e. Brexit) and ethnic groups. With Jupiter changing signs, some of the smoke lifts and people can see through the haze of illusion and delusion. Another favorable result of having Jupiter in Virgo is that Saturn is no longer influencing Jupiter. For Jupiter’s entire time in Leo, Saturn was powerfully able to gaze at it from the transformative and turbulent sign of Scorpio. Jupiter is the planet of wisdom. But Saturn’s watchful eyes often led to lapses in judgment and to false conclusions. Now, Jupiter will be able to reason more clearly. While Jupiter is more stable in Virgo, it has moved out of the home of its friend, the Sun, into the home of not so friendly Mercury. This can be a more charged situation if you natally have Jupiter in Virgo or influencing Virgo. As the 6th house of the natural zodiac, Virgo relates to health, daily routines, your employees, legal issues, and cooking, These themes will be more prominent if you are in a Jupiter planetary cycle. 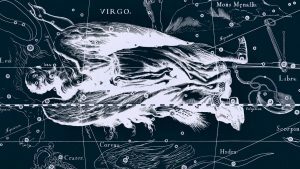 Additionally, being an earth sign, Jupiter is more grounded in Virgo and doesn’t feel that it needs to blaze the trail of teaching and leadership as it did in Leo. The Sanskrit word for Jupiter is Guru. Guru is an appellation for a spiritual teacher, and it also translates as heavy. Thus, with Jupiter in Virgo, you must watch for a tendency to overeat sweet foods, as Jupiter pertains to the sweet taste in Ayurveda. Jupiter also is the significator for meda dhatu, or the adipose tissue in Ayurveda. It is also a Kapha planet. Consequently, you have to ensure that your daily routines tend towards weight management rather than feeling too lethargic to tone your adipose tissue. 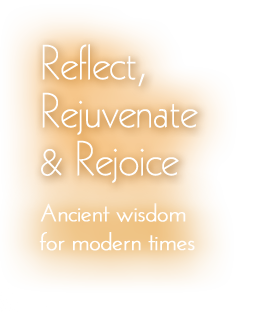 What makes Jupiter’s entry into Virgo more auspicious is that Thursdays are called Guruvar in Sanskrit. Thus, it is the day of the Guru (Jupiter) in Vedic astrology. Jupiter entering Virgo on the day of the week which it rules makes it a powerful day for your spiritual practices. This is known as Guru sankranti into Kanya rashi (Virgo). Healing-oriented retreats in foreign countries popping up, sponsored by yoga studios, therapeutic schools, spiritual centers, etc. A dramatic spike in the number of alternative health care practitioners, massage therapists, yoga teachers, etc. Jupiter enters Virgo on Thursday, August 11, 2016 at 9 AM Pacific time. Jupiter remains in Virgo until September, 2017. Jupiter was previously in sidereal Virgo from September, 2004 to September, 2005. Similar themes may emerge, depending on what Jupiter is activating in your natal chart. However, Jupiter gets off to a rocky start this month, as it is engaged in two planetary wars. Further information on Jupiter’s transit will be posted on this blog and on my Facebook page. Optimize the transit of Jupiter in Virgo for you and schedule a personalized Vedic astrology reading.